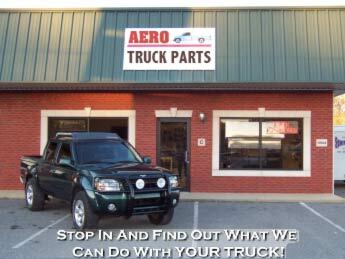 Find Custom Truck Parts, Aftermarket Truck Parts, and Auto Parts Online at Aero Truck Parts.com! Aero Truck Parts is your online source for custom truck parts. Whatever kind of truck part or accessory you need, we will either have it, or we will hunt it down for you. We are here to serve you! Be sure to check out the sampling of the truck parts and services that we offer such as spray on bed liners, toolboxes, ground effects, window tint, spoilers, wheels, and more!